A Simple Tip to Enhance Fall Color. . . I was on my way home from Oregon last Friday, and saw this scene. 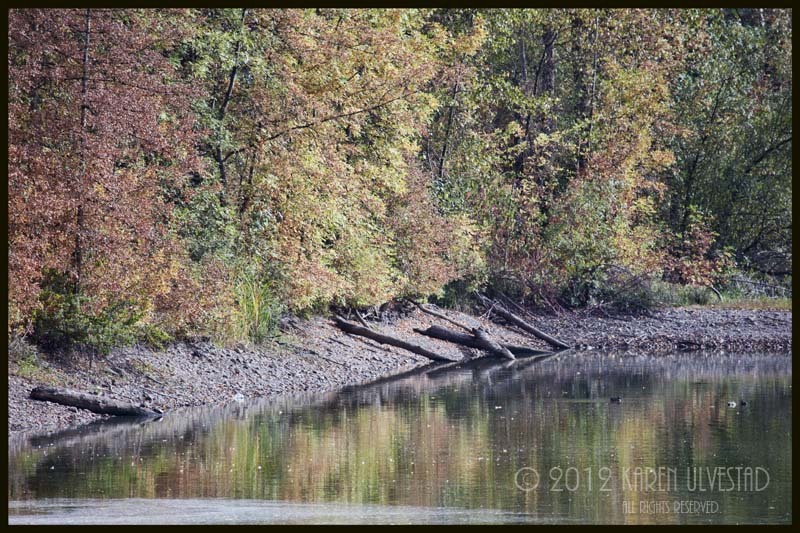 It was a great example of showing techniques for fall color, and this is the resulting blog entry. All three photos were processed the same way, and there is a marked difference in their color. The first photograph was taken without a Polarizing filter. The light shines off the top of the leaves, causing the colors to fade or appear washed-out. The colors in the lake reflection are faded too. The White Balance (WB) was set on Auto. The second photo was taken with a Polarizing filter. It cuts the “glare” from the light, that was bouncing off the leaves in the first photo. There is a marked difference in the colors between these two photos. The yellows are more vibrant, and the browns are warmer. The reflection in the lake has more color too. This is a nice photo, but the color is not as spectacular as it could be. It is missing some direct sunlight, and a focal point in the frame. This last photograph was taken with a Polarizing filter and with the WB set on cloudy. I cropped (in the camera) to include only the reflection with ducks swimming through the frame. 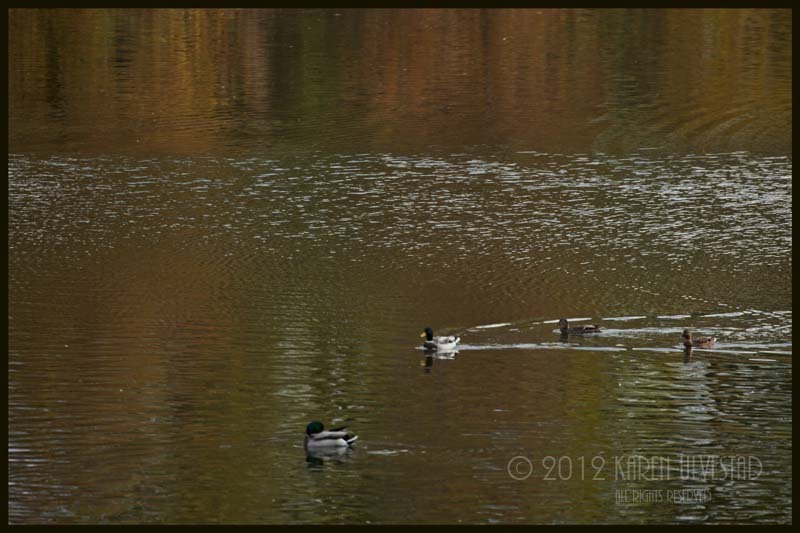 The ducks become the subject, and the fall colors add to the scene. 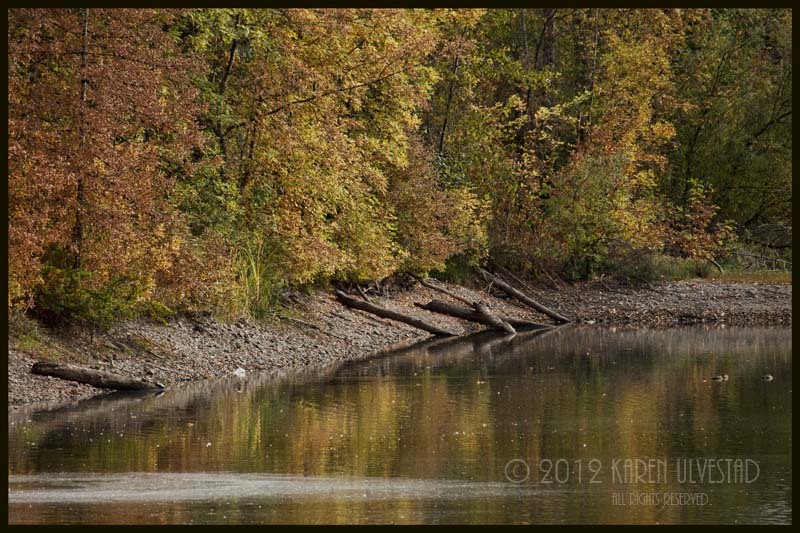 In this instance, I liked the color reflected in the water better than on the trees.